While on a technical level there are several best practices for website translation, there are also several linguistic tactics that can help. Discover 5 linguistic tips for website translation below. As a general rule of thumb, the more clearly content is written, the easier it is to translate. For websites to be translation-friendly, using controlled English as well as avoiding ambiguity, idioms, and slang when creating web content are highly recommended to optimize clarity. English, having roughly 500,000 words, is a word-rich language with a relatively high number of synonyms (words that have the same or almost the same meaning as another word). When translating synonyms, translators need to consider the extent of their vocabulary variation and whether or not corresponding synonyms exist in the target language, making the translation process slower and more prone to mistranslations. For this reason, controlled English (a restricted general vocabulary, a subject-specific vocabulary, and consistent tone). Similarly, ambiguity, idioms, and slang in writing are all barriers to clarity and obstacles to translation. For this reason, it is wise to ensure content is written clearly (e.g., making subjects and objects obvious, avoiding use of acronyms and abbreviations) and to stay clear of idioms and slang (which may be nonexistent or whose meaning may be conveyed quite differently in other languages). Minding your language when creating web content is paramount. Although this is more of a stylistic tip, using culturally appropriate images and colors on your multilingual websites will allow them to be received well by your global audiences. For example, imagine an image of a family in swimsuits lounging in a pool. While this seems normal, people in countries where it is not acceptable for women (and/or children) to show skin may think otherwise. In such cases, the image needs to either be more acceptable to the target culture or replaced with a more culturally appropriate image. The same thinking can be applied to colors. Red, for example, can be perceived as a representation of love and passion in North America and Europe, good fortune, happiness, and longevity in China, and purity in India. However, in the Middle East, the color red is associated with danger. It is important to identify which colors are not appropriate for your target audiences and exclude those accordingly when creating multilingual websites. “A joke’s a very serious thing,” Charles Churchill once said. This is especially true when creating content for global audiences. Remember that humor is culturally based and can be potentially detrimental to a brand, if used inappropriately. Cultural bias aside, humor can be topical (a joke may lose its appeal over time) and also challenging to translate. Even the best translation may not appeal to everyone in the target audience. Therefore, humor in web content should be used sparingly, if at all. Save those hilarious puns for family, friends, and colleagues! A glossary of key website terms will help during the website translation process, especially as web content is updated or new web content is added over time. Once this glossary is created, translating the glossary terms first and then applying those translations when translating the actual web content allows for higher consistency and faster translation turnarounds. If translated glossary terms are revised in the future, the revised translations can also be applied across your web content (using translation technology). While website translation alone presents several growth benefits to globalizing businesses, it generally does not take into account optimized keywords in target language. 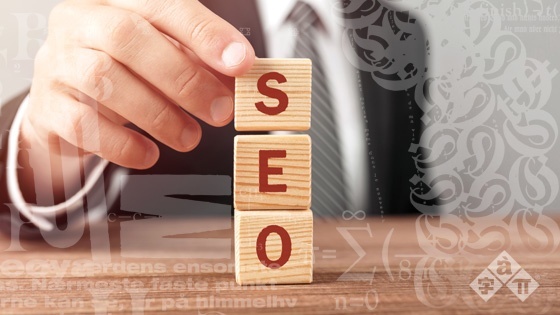 Enter SEO keyword localization – optimizing translated keywords in each target language to improve the searchability of multilingual web content, drive more web traffic to multilingual websites, and boost website search rankings. Essentially, SEO keyword localization is an extension of website translation that packs a punch – it is SEO from an international perspective. SimulTrans has decades of experience with website translation, and we’re happy to share our expertise with you. Dive into more best practices for global content creation in our white paper about “Writing for a Global Audience” and add a global touch to your web content! 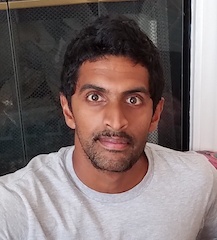 Vinodh is an Account Manager and Marketing Specialist at SimulTrans' HQ in Mountain View, California, and focuses on new business development, inbound marketing, and creative writing. With a background in Economics and International Relations, and experience working in the US, Singapore, and Japan, he is a valued member of the ever-expanding SimulTrans team, and passionate about bringing the world closer together through localization services.